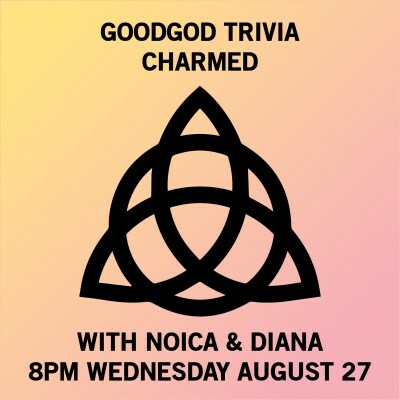 Alright Charmed Ones, it’s time to assemble in the Goodgod Front Bar as we do a whole night of Charmed Trivia! Test your knowledge of the Halliwell sisters’ finest moments, with Goodgod’s own Noica and Diana hosting and Goodgod & Jonkanoo servin’ up food and drinks all night. Free from 8pm, be early for the best tables… there’s no bookings!